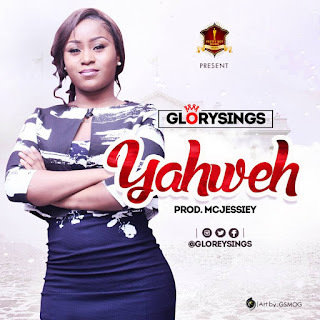 Glory Effiong Eyo popularly known as Glorysings finally unveils her debut single titled 'Yahweh'. She is currently signed under Pretty Boy Music [an indigenous Gospel record label]. She is popularly called a small body with the "Big voice" because her songs are eulogized by her rich mid-range and high sonorous vocals. ''Yahweh came to me through God's Word. I was meditating on his word and I got to know He is more bigger,wiser ,than what we call Him. 'Yahweh' was recorded and produced by Pretty Boy Music; Jesse Mcjessiey and acclaimed Gospel Music artist - Essemm, who played the keyboard line on the single.